For work to occur on the section of Bicentennial Bikeway between the Goodwill Bridge and area behind 1 William Street, the bikeway will need to temporarily close. A diversion along Gardens Point Rd and the adjacent footpath has been identified and agreed upon as the safest temporary alternative. 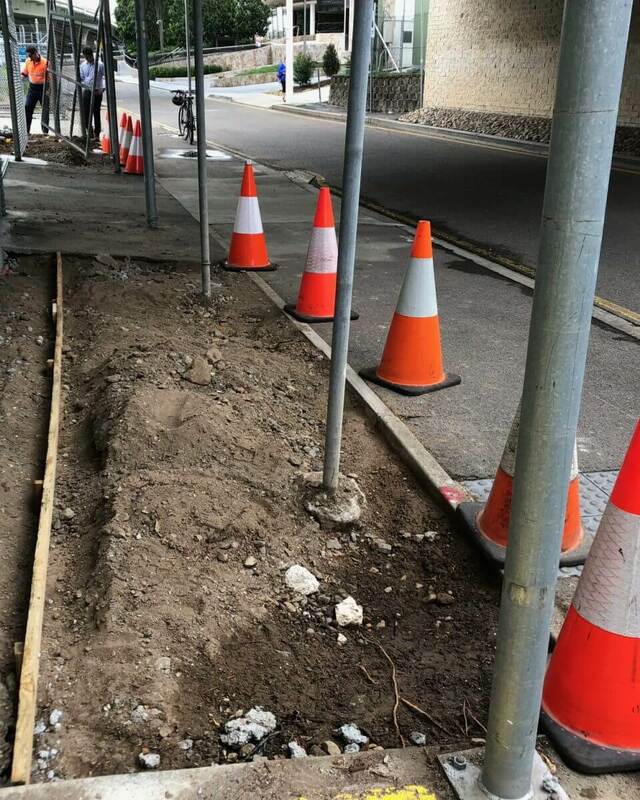 To make this diversion as safe as possible for increased pedestrians and cyclists using it, Multiplex has been undertaking construction works such as installing way finding signage, increasing footpath widths and improving lines of sight through tree pruning. The speed along Gardens Point Rd has also been reduced to 20km/hr while the area is converted to a shared zone for all road vehicles. 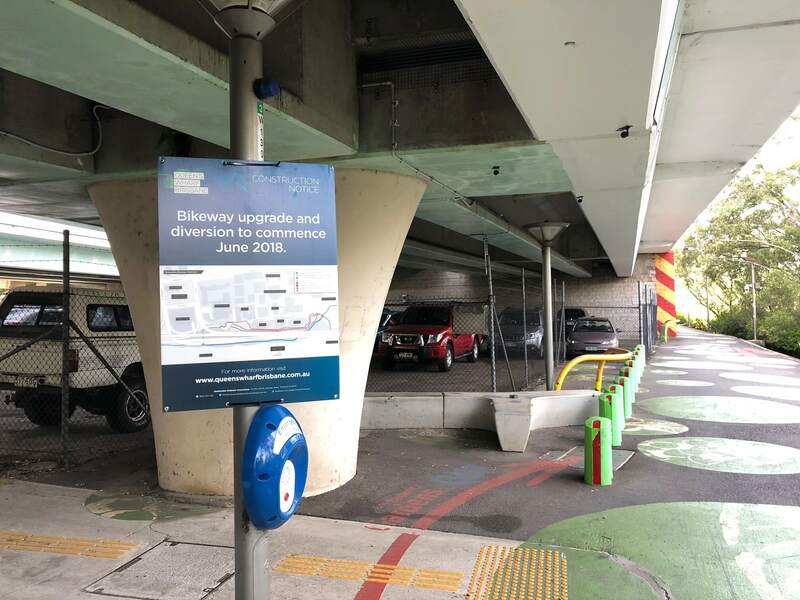 The cycle and pedestrian diversion is expected to be complete and operational in late June, with the section of Bicentennial Bikeway to be upgraded expected to be closed soon after. The temporary closure will be for a period of 12 months, while the riverfront is transformed. When complete the bikeway will be improved to include a 3m wide cyclist path and 2m wide separate pedestrian path plus scenic Mangrove Walk constructed in the Brisbane River. Waterline Park will also be constructed during this time and will provide an active recreation area for inner city workers, near residents and those seeking some relaxation or exercise as part of their day. The park is expected to open in the latter half of 2019. Site offices will be established at the grass area near the Goodwill Bridge and in the Waterline Park area in June/July this year. For any enquiries about construction of the bikeway upgrade or Waterline Park please contact Multiplex on 1800 931 760 or email queenswharfbrisbane@multiplex.global. Otherwise if you are interested in receiving construction notices detailing any activity occurring outside the site boundary or outside normal construction hours, please subscribe via our website www.queenswharfbrisbane.com.au and click on the stay informed tab at the top right of the page.